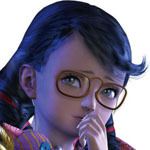 In a damp and crumbling castle, Bayonetta stumbles upon a small female child known simply as Cereza. The child is immediately enamoured with Bayonetta and calls her nothing more than "mommy". Astonished at this proclamation, Bayonetta falters not knowing what to do. Is she truly the mother of this child? Does this child hold the key to unlocking her buried memories? Only time will tell. Joys are members of the Seraphim class within the angelic hierarchy's First Sphere. These beings have broken free of any physical conception of form and have become truly spiritual. Their body is as free as a flowing river, and it takes shape only on a temporary basis. Joy may take the shape of the human feminine form, but the Seraphim can also shape-shift, or even separate into multiple sentient forms, at will. The ancient city of Vigrid is largely inaccessible - surrounded by mountains on one side and the sea to the other. While at first glance this may seem incredibly inconvenient, it is said that Vigrid flourished primarily due to the presence of strong Spirit Energy within the land underfoot. 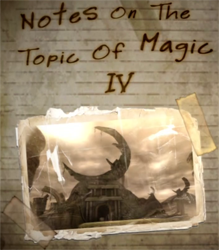 The Umbra Witches and Lumen Sages, each with respective control over dark and light, must have needed a land replete with this Spirit Energy to enable them to oversee history. The waves of time have modernised Vigrid, spurring rapid development; however, its residents still avoid outside contact, preferring to maintain their own culture and religious outlook. Their only link with the outside world is a single, long-distance rail line. Simply riding this train requires an application be submitted to Vigrid authorities, and a rigorous background check is required prior to the issuance of an entrance visa, which must be carried at all times. Once disembarking from the train, there is a further police search, after which one is granted admission to the city. 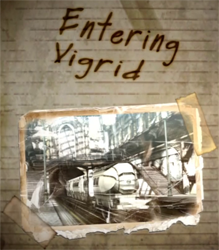 It seems that what allows Vigrid the ability to be so strict regarding immigration is the seemingly close link between the Vigridian authorities and the Ithavoll Group, a conglomerate based in Vigrid. Yet, proving this link will require further investigation. Everyone carries within them a record of their time immemorial. It is this inner knowledge that the magical arts call upon when a practitioner uses the transformative technique known as the Beast Within. While there is very little documentation regarding this technique, it is comparatively easy to guess at its workings. It is even easier when one considers how many works of art depicting this condition fill museums to this very day. These works capture the very moment when a witch transforms herself into an animal. Present day interpretations never seem to escape the realm of dismissing these works as an artist's daydreams; however, when viewed from a different perspective, they are an important reference point in researching the magical arts. These pictures illustrate the unbelievable transformation of an Umbra Witch via the most special of means, seeing her take the form of various animals. The witches were able to freely use this technique, transforming into beasts for incredible speed, or birds to send themselves soaring into the sky. In recent days, Vigrid has seen the rise of the Ithavoll Group, a conglomerate whose rapid development has changed the face of the city. Their man-made island off the coast of Vigrid, Isla del Sol, is a clear example of their technological style. It is a modern metropolis, home to many residents; however, their flight from the old city has led to the on-shore historical districts' rapid decline, a process that will likely end in the areas becoming ruins free of inhabitants. Those who live on Isla del Sol, and those who have remained in the old city, all worship the Laguna, gods who are the heart of their faith. In many ways like sun-worship, this faith has been at the people's core since ancient times, and forms the very heart of their cultural development. It is said the Ithavoll Group itself was developed in conjunction with the Laguna, and its CEO is held up as the paragon of Laguna worship, the living symbol of the people's faith. He is purported to be descended from the said-to-be annihilated Lumen Sages, although I cannot confirm the veracity of this claim. At any rate, the devotion which people hold towards the Ithavoll Group is without question. 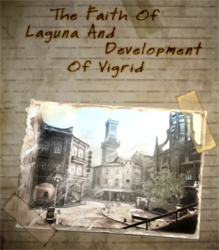 Vigrid's appearance is not the only part of the city to have changed completely. The ancient faith in the Laguna is now inexorably linked to the Ithavoll Group as it pushes forwards its modernisations. Thus the city has lost its previous visage, to be replaced at alarming speed, and all with the consent of the Laguna-worshipping Vigridians. One of the unique aspects of the religion in this town is the people's belief that the world is actually made up of three unique realms layered on top of each other - Human World, Inferno, and Paradiso - the Trinity of Realities. However, the wavelengths of the Spirit Energy in each of these realities is different, and inhabitants of each are unable to interfere with the others' affairs, despite the fact the worlds are layered. 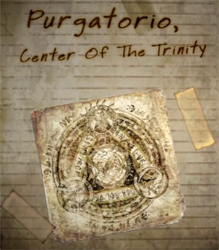 It's said the Lumen Sages and Umbra Witches had the unique ability to pass into a realm known as Purgatorio, and travel amongst the Trinity. It is believed that the witches and sages each made contract with the masters of the light and dark worlds, and can use special abilities granted to them by their masters. Underlying all of this, though, is the presence of the Trinity of Realities. Even during the witch hunts, it seems those suspected of being witches were lured into Purgatorio, an act the people called being "spirited away", and their presence in the no-man's land was used as justification for further acts of persecution. To further explain Purgatorio, one must understand that those within the realm are unable to see or touch those in the human world, nor are humans in their own world able to intervene in the affairs of Purgatorio. Moreover, what we identify as material objects may have different appearances in the different realities. Yet, when these items are destroyed in one world, they will be destroyed in all worlds. This may explain why many place religious interpretations upon the phenomenon of unexpected destruction that occurs during their everyday lives. Vigrid has long held the notion that the world is comprised of a Trinity of Realities - Paradiso, Inferno, and the Human World. However, since the era of the witch hunts, where the Umbra Witches met total annihilation, Vigridians have held that Paradiso, the world of light, is the most perfect of these realms and have worshipped it as such. Yet, as normal human beings are unable to experience this heaven, the Vigridians feelings regarding Paradiso manifest themselves in various ways. Even the Porta del Paradiso, ruins of which remain to this day, were born of this faith and placed around the city as an act of Paradiso worship. These structures, stone discs three meters in diameter, were said to represent portals into Paradiso itself. It was believed that when the gods extended the people a helping hand, they would do so via the portals, guiding them to Paradiso. Thus, the Porta were placed in spiritually powerful locations. I have one more interesting aside. 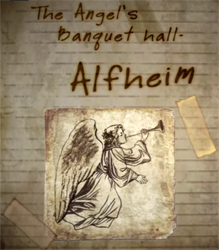 Within Paradiso, there are said to be secret rooms known as Alfheim, where angels gather and hold their banquets. The Porta del Paradiso created by man are said to mimic the entrances to these Alfheim. Legend has it that if someone were to stumble across one of these portals while in Purgatorio, they may enter an Alfheim, upon which the angels would entertain the lost visitor, and bless them justly. As part of the Ithavoll Group's plans for the further development of Vigrid, the man-made island of Isla del Sol, a new urban center, was constructed and outfitted with a new highway, stretching a total of 41.295km (26.218mi). As expected, travelling this highway, which links the major areas of Vigrid to the island, requires vigorous checks, and its usefulness is limited to Vigridian authorities, Ithavoll Group materials transports, and a select group of authorised personnel. The bridge connecting the island to the mainland is an enormous oversea suspension bridge. 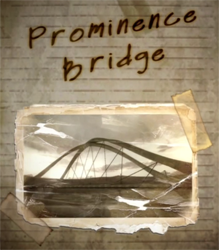 The structures supporting the bridge's wires are shaped like the bright solar flares that shoot out from the sun's surface, giving the crossing its name, Prominence Bridge. It is truly a symbol of the modernity that has come to Vigrid.